Crager and Centre Town are a perfect fit. Batting booze and his worst nightmares of years spent on the Albuquerque police force, he’s back in this decaying, crime-ridden town for the first time since he was a young man. Crager is barely settled into his gig as a detective when he gets an anonymous call of a murder. Lance Miller, the Mets’ slugging star with the shadowy past, has been found dead in a downtown hotel. Lance’s time with the team had been brief, his relationship with teammates, lovers and others somewhat vague and mysterious. And so, Crager begins the task of following leads and ferreting out information, a job that takes him from the back alleys of the city to the halls of academia. Crager works alone and without as much as a stipend. Soon, he wonders why. For he will have his hands full. 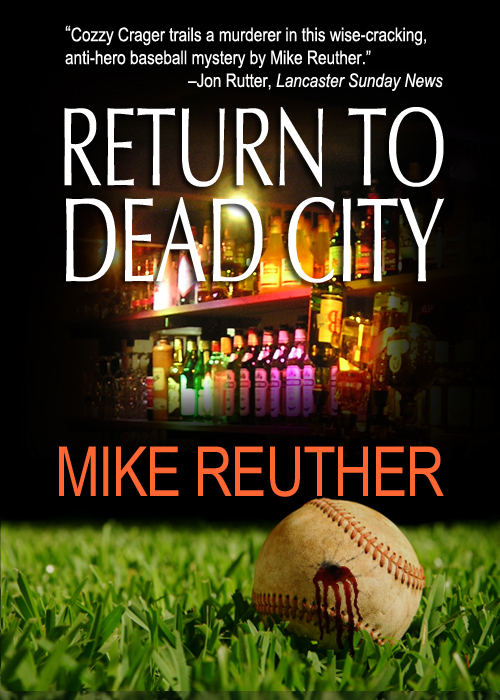 In “Return to Dead City,” Crager has come home without feeling exactly at home. For as Crager is to learn,Centre Town is a town where nothing has changed, but everything has changed.